With over 20 years experience, Danny and Lucy Salinas, owners of Salinas Catering Inc, have strived to build the success of one of the most reputable catering companies in the Coastal Bend. Salinas Catering prides itself in exquisite menus at affordable prices that can be served both off premise and in house. Salinas Catering delights itself in providing you with the highest quality of meals and professional staff to treat your guest as special as they are! From small office luncheons, company picnics, formal corporate sit down dinners, to weddings and graduations, Salinas Catering will make sure we look good so you will look even better! From planning to serving your meal, Salinas Catering will be with you every step of the way! *Rated Best of the Best since 1997 through 2012! What makes us different from other caterers? Our unique presentations and most importantly, our timely arrival! 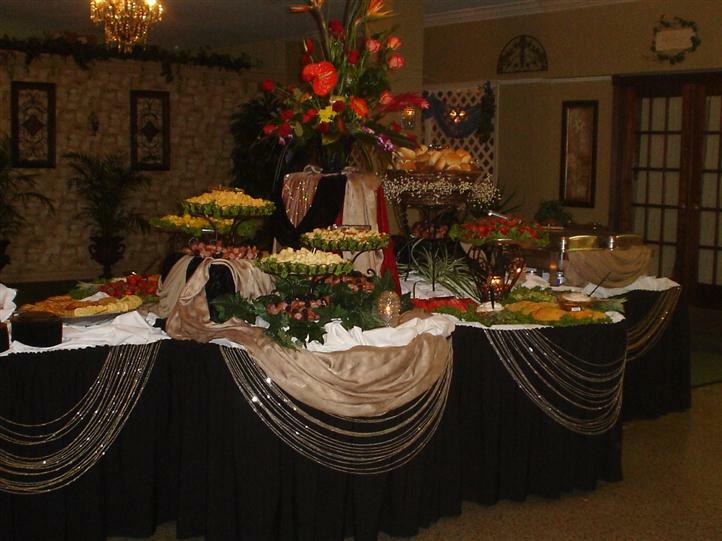 We offer a Full Buffet, Elegant Sit-Down Meals, Alcoholic Beverage Services, Hors d' Oeuvres. next occasion catered by Salinas Catering.